Christmas Gift Guide Part Two! I know how much you all enjoyed Part One so I thought I'd offer some more Christmas Gift Ideas! 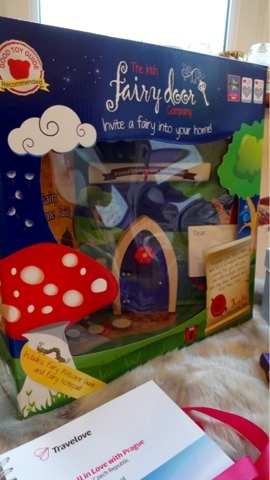 We love our Fairy Door from the Irish Fairy Door Company - ours is in the playroom and we love the magic a fairy brings to any home or garden. There are lots of additional things you can buy too - such as a washing line! 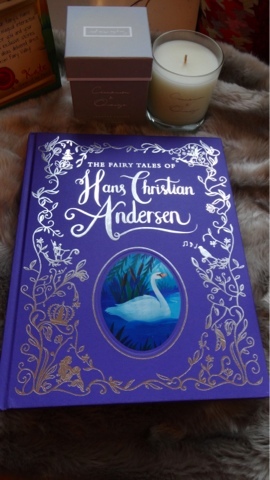 This special hard back edition of The Fairy Tales of Hans Christian Andersen by Parragon Books is beautifully illustrated and a great keepsake. 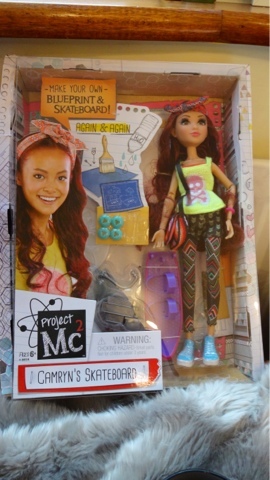 Project Mc2 dolls reflect interest in science and engineering - this is Camryn, and she comes with a kit to design, create the blueprint and build her skateboard as many times as you like. 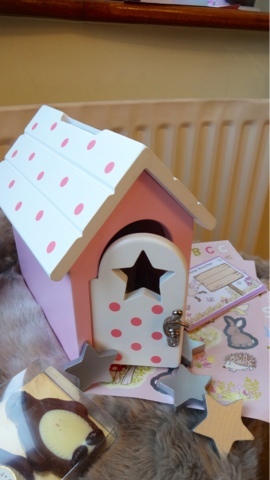 Wooden fairy house by The Reward Box comes with silver wooden stars and stickers to personalise your box - a great way to encourage and reward achievements with your child. Beautifully designed and a pleasure to customise. 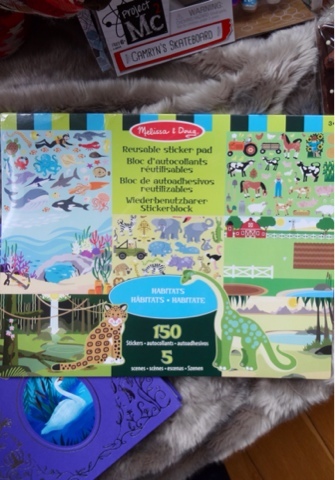 Adorable reusable sticker pad from Aspace - different habitat scenes to chose from and 150 different animal reusable stickers to let your child's imagination explore and learn about different creatures. 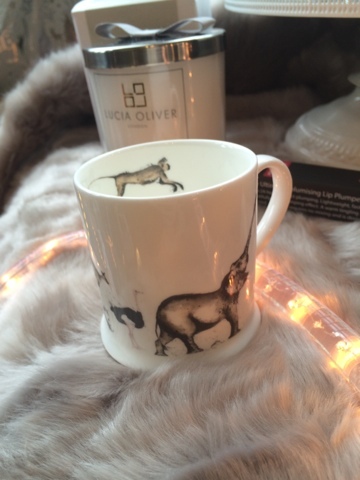 Beautiful hand painted design (painted with pheasant feathers) by Clare Brownlow showcasing a wonderful animal procession around a small porcelain cup. 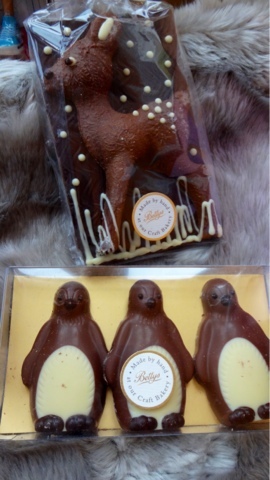 The most delicious chocolate gifts hand crafted by Bettys - Swiss chocolate fawn slab is enchanting and the set of 3 penguins will put a smile on anyone's face - young or old! Planning a surprise romantic trip? 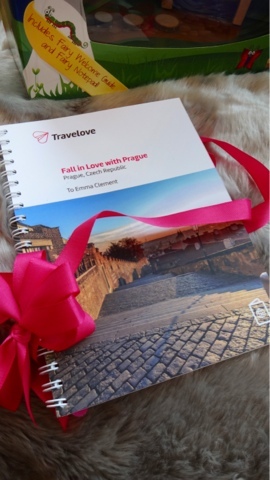 Travelove can help customise your trip with extras and will make a special book tailored for your specific trip right down to arrival times. Plenty of wonderful unusual ideas such as cooking with a local family or a private tour not in the standard guide books. 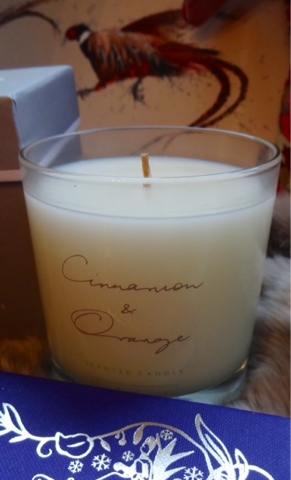 Cinnamon and Orange scented candle by Sophie Allport has an amazingly wonderful Christmas inspired scent and makes a great gift or a festive addition for your home. 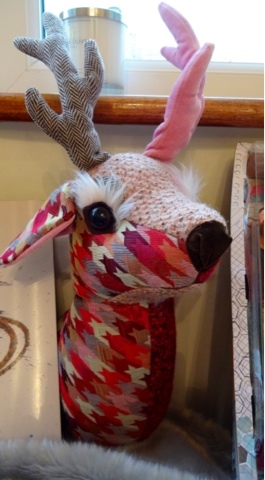 Eclectic mix of patchwork fabrics and colours make a refreshing touch to the current Buck Trophy Head trend - this one is by Dora Designs. 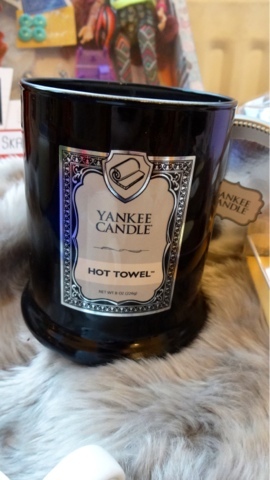 Brilliant barbershop collection from Yankee Candle - love the Hot Towel scent in a black footed candle jar - the rest of the barbershop collection are also well presented in these sleek jars. 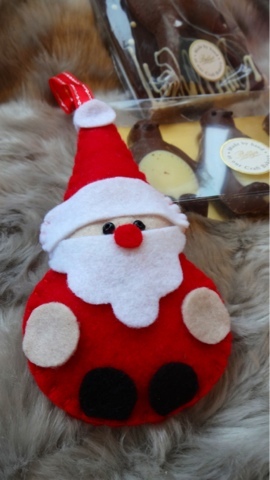 Handcrafted felt Father Christmas decoration by Olga at Sunflowers Creations. 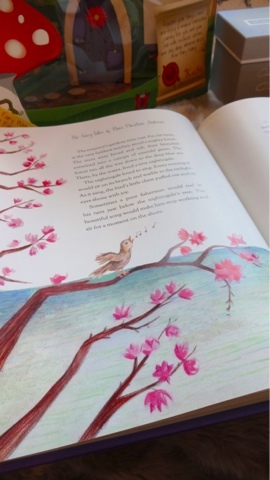 Would you like to read more about Christmas? I have a whole section full of gifts, decorations and festive food - yum!